This concealer technique really changed how my makeup looks! After I turned 35, so many of my favorite products and techniques that I tried just didn’t flatter my skin anymore. After switching to this technique, my makeup looks brighter and fresh again. I use this on myself and on makeup clients in their 30’s, 40’s, 50’s and 60’s. *IMPORTANT* I wrote out each step below as a refresher, so you can bookmark this page and come back and reread before trying, but highly recommend watching the video below for an in-depth explanation of my concealer technique. You can click “play” right on the video, you don’t even need to leave the blog. Also, if you find this post and video helpful, please feel free to text it to your friends/sisters/mom/aunts, email it, pin any pins below so you can come back to it again later, or share the link on Facebook! 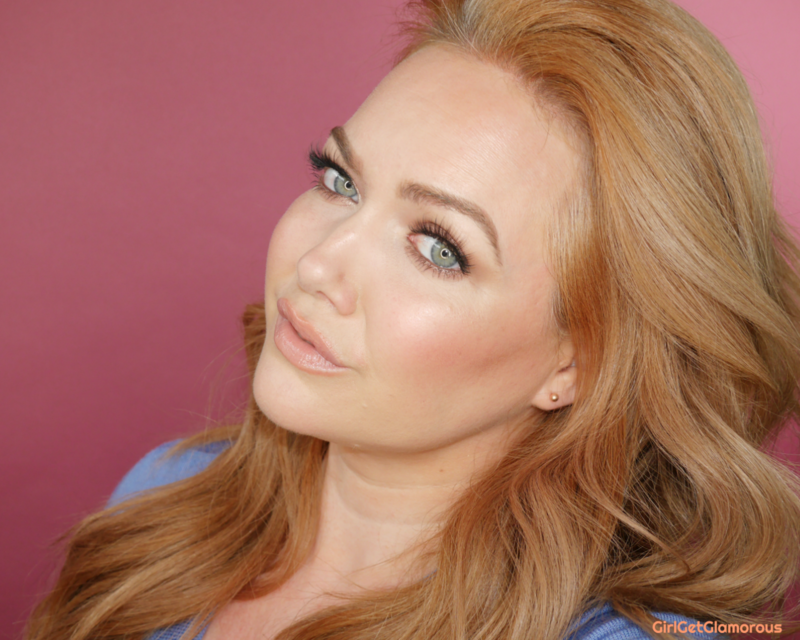 Want to know my favorite concealers for women over 35? Click here and a new tab will open with my post on all my favorites. That way you can finish reading this post, then check those out! Here are my results. I can’t believe the difference in how much smoother and fresher the skin around my eyes looks with this technique. I now use either a jade roller for quick lymphatic drainage (a.k.a. depuffing) or the ZIIP Beauty device for drainage and long term collagen rebuilding (lifting). I’ve found that even just a few quick rolls on each side really wakes up my eyes. I tend to use the jade roller when I’m in a rush and the ZIIP device when I have a little time (I use it while I’m checking emails) or it’s a big event. I find that the jade roller depuffs really nicely and the ZIIP depuffs and gives a bit of an instant skin tightening/lift. A hydrated under eye area looks so much brighter and holds onto product better. I love and use this DHC one. Hydrating eye cream is essential for a concealer base it helps prevent concealer from clinging to dry patches. It also helps minimize any fine lines. I just did a whole post on the Becca corrector. In short, it’s amazing because it corrects the blueish purple tones at the inner corner and under eye area. I use so much less concealer because I’m not piling on three layers to get rid of dark circles. Placement | I keep the product placement limited to my inner corner to my mid-eye. I didn’t apply any product past the middle of the eye, so that it doesn’t settle into lines on the outer corners. Quantity | I use the smallest possible amount of product I can, blend it out, then add more as needed. These light layers help prevent creasing and product settling into fine lines. Again, I recommend watching the video below, I go really in depth showing the placement and amount of product. It’s only 8 minutes long, and allows me to demo the technique far better vs. just writing out the technique. You don’t even have to leave the site, just click the arrow and the video will play below! Okay, this is another area where a simple switch has made a huge difference!! Instead of putting a ton of powder over the blended concealer (a.k.a. “baking”), I use setting spray, spritzed directly into my blender, squished in, and then set my concealer by bouncing the blender into my skin. Watch the video if you want to see the bounce technique up close! Then after using spray, if I still need a bit more setting, I’ll ever-so-lightly dust a soft-finish setting powder over the triangle. Using the spray first eliminates the need for a ton of powder and gives your concealer and skin an overall softer appearance. That’s it! I should also mention, this concealer technique works no matter what order you do your makeup in. I generally do my concealer first, then eye makeup, then the rest of my face. But you can do concealer after foundation and this technique will still work perfectly!